This Friday, August 15th, Cornell patrons who order books from Borrow Direct can now pick them up at their choice of 13 locations. Previously, only 5 locations were available for this service. You should be able to see these new locations when you request directly from the catalog. Items ordered from Borrow Direct usually take on average 4 days from campus to campus. This service allows rapid delivery of books from other participating institutions, including MIT, Harvard, Dartmouth and many others. 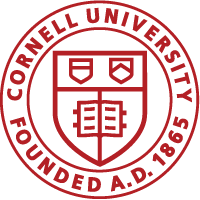 More about this exciting news can be found at the Cornell Chronicle.